It looks like next year's DC saga Batman v Superman: Dawn of Justice is loaded with several plot-lines, including the introduction of Wonder Woman and Aquaman. 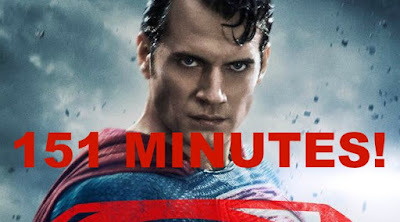 So, it makes sense the movie's run-time will extend over two hours, but now we have a report on exactly how long the film will be. According to an unconfirmed report, BvS will run two hours and 31 minutes, which makes it eight minutes longer than 2012's Man of Steel. Thanks to Flickering Myth for the heads up.